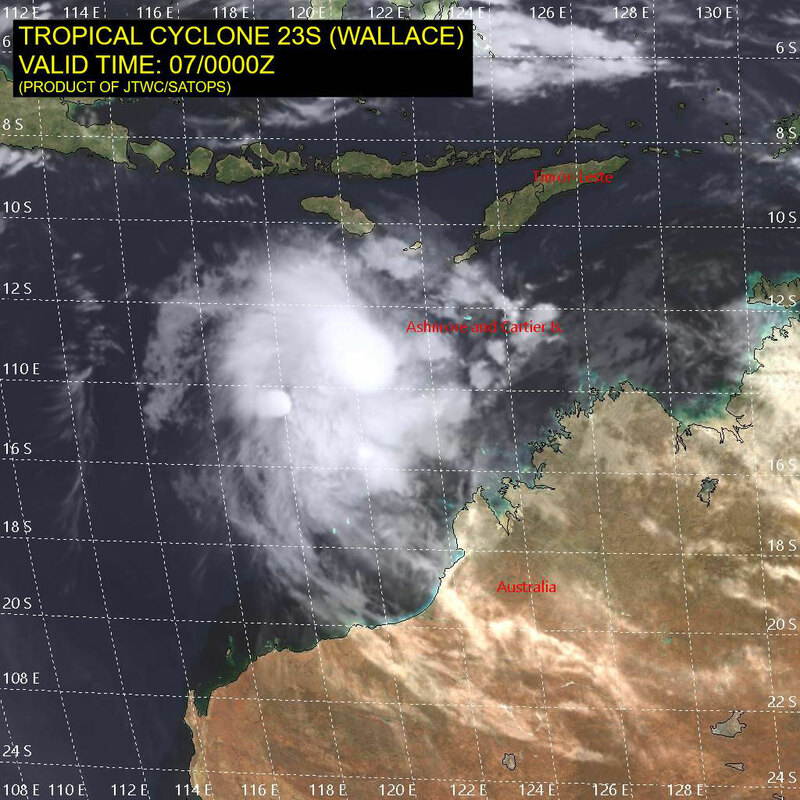 Tropical Cyclone Wallace formed on April 6 2019 of the Northwest coast of Western Australia. After developing to a category 2 cyclone, TC Wallace now lies over open water well to the northwest of the Kimberley coast. Wallace will not directly impact the WA coast over the next few days. Location: within 55 kilometres of 13.0 degrees South, 121.0 degrees East , 430 kilometres north northwest of Cape Leveque and 570 kilometres north northwest of Broome . Movement: west at 19 kilometres per hour . 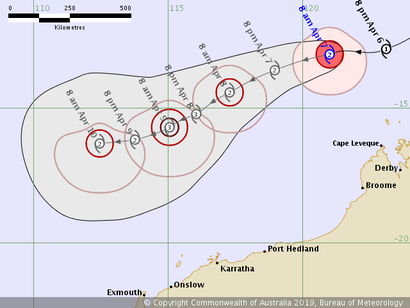 Tropical Cyclone Wallace is expected to continue its west southwest track and develop further over the next few days over open water, well off the WA coast. 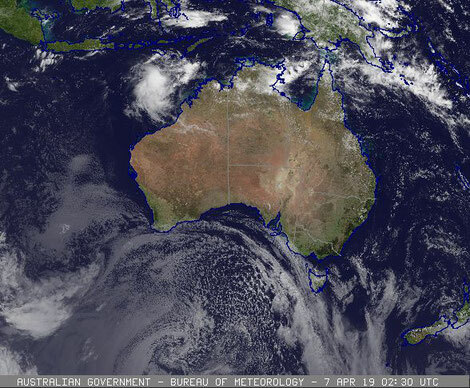 Whilst the most likely track keeps the system well off the WA coast, there remains a slight risk that the cyclone could approach the far west Pilbara coast later in the week. 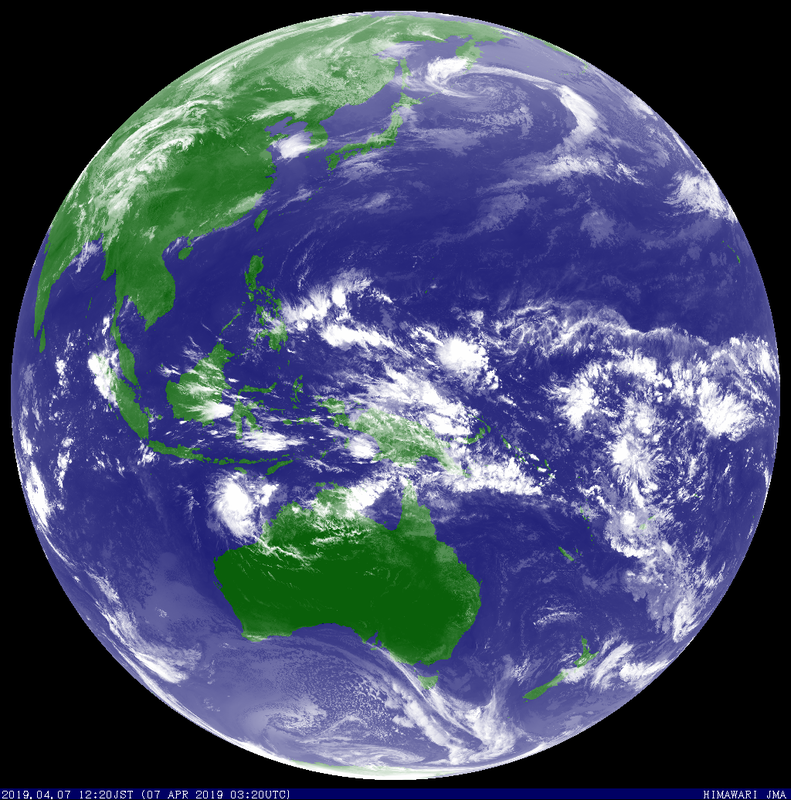 Infrared satellite image of Tropical Cyclone Wallace (07/04/2019). From JTWC.